If I am asked to list out the top 5 problems that a newbie blogger faces, they could probably be – finding the right niche, hosting, theme, proper keyword research, and search engine optimization. Though I believe that hosting is the backbone of a website, but finding the right and profitable niche is still most important. A blog cannot be kept running without a profitable niche. This case is most common with newbies. People, who are completely new in this blogging field, get excited to start a blog as soon as possible. They don’t do any proper research and think that, they can blog on multiple topics. And after some time, they end up with writing anything and everything in the blog. These bloggers do not earn money from their blogs and finally stop updating. It’s actually great if you are planning to start a multi niche blog. Google and other search engines give preference to authority blogs with quality content that are focused on a specific niche. So, if you want to cover multiple niches, then first decide which topics interest you most, and at the same time whether they are profitable too. Accordingly, decide on your categories and start writing about them. Multi niche blogs demand higher updating frequency, covering as many keywords as possible. So it is even better, if you have a team to support. Adsense is a great medium to monetize such blogs. This case is true for both newbies and as well as a bit experienced bloggers. Micro niche blogging has always been one of the best options to make money blogging and many people have tried their hands at that. They do some research, find a profitable micro niche, but are not able to monetize it. Finally, after a few months they lose interest in that and drop it. This means the person end up with very little money or nothing at all. To build a profitable micro niche site, you need to first understand the different money-making opportunities available in blogging. For example, if you want to monetize your blog through Adsense, then explore the high paying niches like insurance, health etc. Find one micro niche that you think you can succeed with. However, if you want to monetize your blog through affiliate marketing, then it is better to cover broader category of products. These are some vital tips to start a profitable blog. However, there are many other factors to make it successful. So, think wisely and make a feasible checklist before you start your blogging journey. The first, and main reason is that everyone wants to succeed in achieving their goals without time. The above two cases which I have discussed are not some random facts, but rather based on real-life experiences which many a blogger has faced. It’s not that easy to get yourself on the right track. You must be passionate about the niche in which you are planning to work, and you must have enough potential to make money from it. Picking random ideas will not work. You need to first evaluate yourself while choosing a niche for your blog. You need to know your passions. Whether you believe or not, passion is a key factor in achieving success. It is what that keeps us motivated, helps us avoid those awful lows, and points where we just want to quite. If you still think, passion has no relation with blogging, then just ask yourself this: if you don’t care about what you work on, then how can you expect your readers to care either? I hope this question is enough to help you decide. 2. Does Your Niche Make Anyone Else Money? Be honest and accept the fact that most bloggers start their blogs in order to make money. If we look at the statistics, we can easily say that very few people make their living from it. Don’t let yourself be one of them. 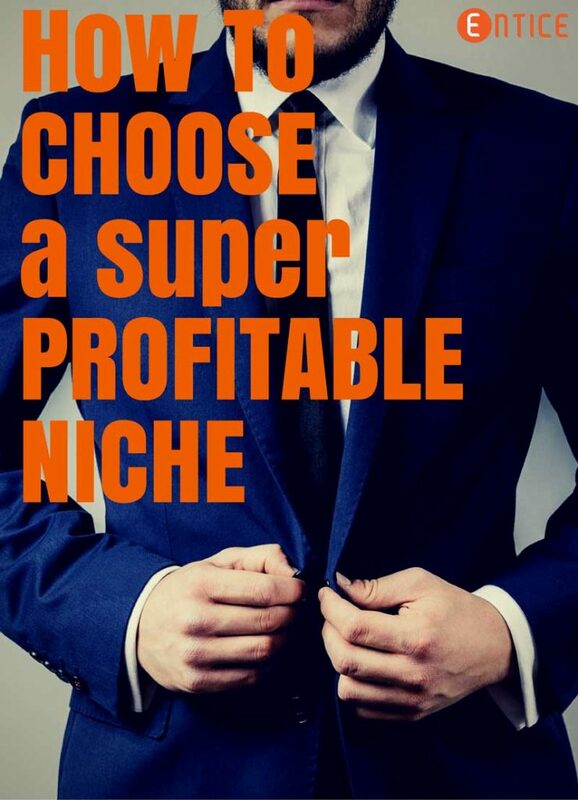 So, is your chosen niche going to be profitable? It is easy to find out whether a niche is profitable or not. But you also need to know how difficult it is to profit from it (ie. are there many competitors). Measuring a niche’s profit potential is never easy. To find the profitability margin of a particular niche, you need to know about the level of competition and the number of sites operating within that space. Is it for Adsense? Then you need to drive massive traffic which you need to succeed with Adsense. Are your competitors able to make a living out of it? Is it possible to get top ranking in the search engines? (check how tough the competition is). 3. Is Your Niche The Perfect ‘Niche’? This may not be something you want to hear, but the truth is that some niches are highly competitive. And these kinds of niches make it harder for you to rank on search engines! You have to check out the sites that are already operating in your niche. The ones who are ranking highly in search for many of the searches you want. If you find a lot of your competitors (with higher authority) are securing the top positions on search engines, then it’s better not to start in your chosen niche. Especially if you are new to the online marketing game. To create a successful blog, first of all you need to understand what your visitors want. Are you able to provide the perfect content for them? Is your knowledge and experience on the topic deep enough? If you have the right answers to the above questions, then you have successfully achieved your goal, and this is what every blogger is looking for. Once you are all set, then generating money would not be a big deal. All you need is to work hard. Before you start to blog in your chosen niche you need to make a proper plan and follow it without any distraction. This should help you to proceed towards your goal twice as fast. You should stick to your plan at least for few months otherwise; you can’t see results at all. Despite any other shiny objects tempting you, you have to commit. It is not an easy task to select a niche with which you can earn money from blogging. So, set a proper goal and do not get distracted. And have patience, as this is one of the most important characteristics that you need to build before entering into the blogging world. If you follow all the steps that are discussed here, then you are on the right track to building a profitable blog. Do not quit too soon, because who knows, maybe you were almost there. Stick to your plan and you will surely taste success!